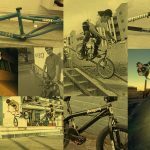 Skapegoat 10 from Animal Bikes on Vimeo. Bob Scerbo put out Skapegoat 10 awhile ago, but it started popping up everywhere this past week. If you haven’t watched it yet, give it a watch, and if you have watched it, watch it again, because this vid is rad. This entry was posted in Video and tagged Ben Lewis, Bob Scerbo, Clint Reynolds, Hanson Little, Jeff Kocsis, Joe Rich, Logan, Matty Aquizap, Mike Hoder, Pauly Cvikevich, Ryan Corrigan, Ryan Green, Skapegoat, Steven Hamilton, Wormz. Bookmark the permalink.